His oncologist referred to him as "miracle boy"
After finishing his first year at Colorado College, Aaron received a phone call informing him that he had a brain tumor and needed emergency treatment for a cancer known as Germinoma. After two brain surgeries, he was sent to Children’s Hospital Colorado for chemotherapy treatment. While at Children’s Colorado, he was told that he had lost his short-term memory and it was unlikely to ever return. 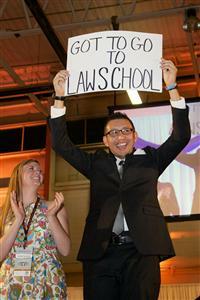 His hopes of finishing college and attending law school seemed unlikely. But, Dr. Nick Foreman was able to restore Aaron’s short-term memory using research funded by The Morgan Adams Foundation. His oncologist referred to Aaron as his “miracle boy” because he was able to return to Colorado College, making up classes in the summer and graduating on-time in just 3 and 1/2 years. 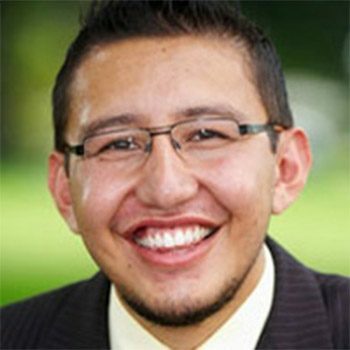 Since graduation, Aaron’s worked as a Fellow at the El Pomar and in Washington D.C. as a Public Policy Fellow with the Congressional Hispanic Caucus Institute. He has worked in the White House, Office of Legislative Affairs and with former Colorado Congressman John Salazar. Aaron attended Cooley Law School in Lansing, Michigan and is currently working with the Office of the Colorado State Public Defender in Pueblo. CHIP Impact: MAF supported research into the memory loss associated with intracranial germ cell tumors; a devastating complication. This enabled us to realize the importance of rapid initiation of therapy. Aaron presented with severe loss of memory, but the rapid start of therapy reversed his memory disorder.